This is the sixth part in the series on the Eastern Catholic Churches. In this part we will talk about the Byzantine Rite. For the other parts in the series, click on the following links: Part 1: The Other 23 Catholic Churches and Why They Exist, Part 2: The Armenian Rite, Part 3: The Alexandrian Rite, Part 4: The East Syrian Rite, Part 5: The West Syrian Rite. Every Holy Thursday growing up, my family would go down to Ukrainian Village in Chicago. My maternal grandmother, my Busia, was Ukrainian, and we would have to stop by several delis to get all of the sausage, ham, and other foods necessary to make the big Easter dinner that was being planned. Sometimes she’d purchase another dozen eggs in order to make pysanka, which are Ukrainian Easter eggs. The smell of the deli always made me hungry, anticipating that big Easter feast which would follow the Great Fast. But I also looked forward to my olfactory senses experiencing an even more pleasant aroma. Although I am a Latin Catholic by baptism, I am so glad that I had the opportunity to grow up with “both lungs” of the Catholic Church, East and West. In this final part of the series on Eastern Catholic Churches, we will be taking a look at the Byzantine Rite. The particular Churches that worship according to the Byzantine Rite are numerous, and it is these Churches that we will look into today. As we have seen previously, Byzantine Catholics have been no stranger to persecutions either. Many of these persecutions took place within living memory. “The Union of Brest opened a new page in the history of the Greek Catholic Church in Ukraine. Today that Church wishes to sing with joy a hymn of thanksgiving and praise to the One who, once more, has brought it back from death to life, and it wishes to set forth with renewed enthusiasm on the path marked out by the Second Vatican Council. By diving into the rich history of the Byzantine Catholic tradition, we also should sense this “spiritual closeness” with our brothers and sisters. The particular Churches that utilize the Byzantine Rite number fourteen, with a full list found in the first part of this series. Since delving into the history of each particular Church would be well outside the scope of this article, we will take a broad look into how Byzantine Christians first reunited with Rome, and Rome with them, before turning our focus to the beautiful liturgical traditions of the Byzantine Rite. When most people first encounter Eastern Catholicism, it’s typically through the Byzantine tradition. In the United States and Canada alone, there are several eparchies (or dioceses) throughout the continent for Ukrainian, Ruthenian, Romanian, Melkite, and Slovak Catholics, with the Ukrainian Greek Catholic Church (UGCC) being the largest of all the Eastern Catholics Churches, boasting nearly 4.5 million faithful worldwide. This means that there are plenty of opportunities for the faithful of other rites to visit those that worship according to the Byzantine Rite, and what a joyful experience awaits! 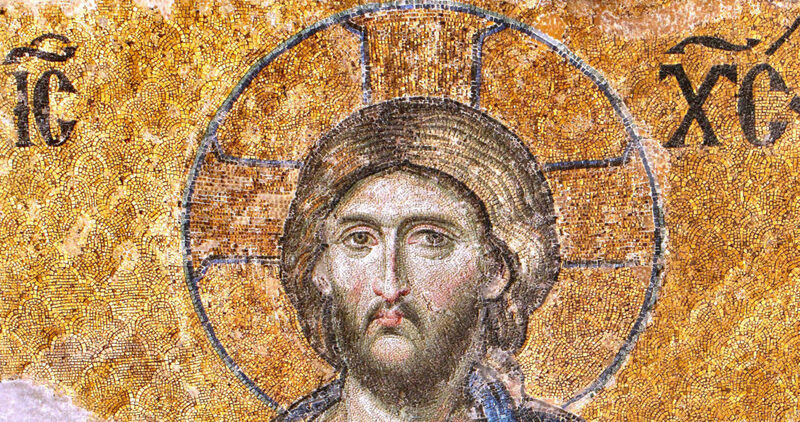 As we turn back the pages of history, we see that Latin and Byzantine Christians were united for virtually the entire first millennium of Christianity. Many Byzantine Christians owe a great deal of gratitude to two saints from the ninth century, Saints Cyril and Methodius, who had brought the Byzantine Rite to many Slavic people with their apostolic and missionary zeal. Saints Cyril and Methodius were no strangers to Rome. Pope St. Nicholas I called them there in 867 after he had heard of their exemplary missionary work. In fact, Pope St. Nicholas’ successor, Adrian II, ordained Methodius. The two saintly brothers are responsible for creating the Glagolitic alphabet (the oldest known Slavic alphabet). With this new alphabet, they translated the Bible, the Divine Office, and other liturgical texts into the language of the Slavic people to whom they were ministering. The following year, St. Vladimir was baptized and soon afterwards, the residents of his city were baptized in the Dnieper River. Byzantine Catholics often refer to Saints Olga, Vladimir, Cyril, and Methodius as “Equal-to-the-Apostles.” However, despite all this great joy at the conversion of many souls, the next century would see one of the most unfortunate divisions in all of Christian history. In 1054, what many people call the East-West (or Great) Schism occurred. The Latin Church and Constantinopolitan Church mutually excommunicated each other. At the time, people didn’t think much of this. There had at times been disagreements between both the Western and Eastern Churches, and they eventually maintained unity. This time proved to be different. It was through the help of holy people, like St. Josaphat Kuntsevych, which brought much needed reconciliation between the two lungs of the Church. The Union of Brest saw both the Ukrainian and Belarusian Catholic Churches resume full communion with Rome, and Rome with them. For a helpful chart detailing reunion dates of the other particular Churches, you can refer to the link here. Those hostile to reunion martyred St. Josaphat. He is commemorated on the general calendars of both the Byzantine and Latin Rite on November 12. “The joyful occasion of the 350th anniversary of the Union of Užhorod constitutes an important moment in the history of a Church which by that act reestablished full union with the Bishop of Rome. As I mentioned above, the persecution of Byzantine Catholics was widespread. Much of it occurred during the nineteenth and twentieth centuries. World War II exacerbated the situation of many Byzantine Catholics, particularly the Ukrainians and Ruthenians. A suppression of the Catholic Faith would continue for years. Josef Stalin of Soviet Russia decided that the Soviets had to quash the burgeoning Ukrainian independent movement. He mandated the entire Ukrainian Catholic Church be wiped out. Despite persecutions like this, the Church continued to grow. The Byzantine Catholic faithful reside now not only in places like Ukraine and Romania, but all over the world, especially in North America. Let’s take a look at what one might expect when visiting a Byzantine Catholic parish. The typical liturgy one will see when visiting a parish of the Byzantine tradition is the Divine Liturgy of St. John Chrysostom. But if one were to visit during the Lenten season, one would experience either the Liturgy of St. Basil the Great (which is very similar to that of St. John Chrysostom’s) or the Liturgy of the Presanctified. Unlike the Latin Rite, the Byzantine Rite does not traditionally offer the Holy Sacrifice every day. During Lent, the Holy Sacrifice only takes place on Sundays and special holy days, such as the Annunciation. Latin Catholics experience their own Presanctified Liturgy once a year on Good Friday. In the Byzantine Rite, this Liturgy of the Presanctified traditionally takes place every Wednesday and Friday of Lent. Like many of the other Eastern Catholic Churches, the Byzantine liturgical tradition also confers all three sacraments of initiation on infants at the same time. Therefore, it’s not uncommon to see very young children receiving the Eucharist at the Divine Liturgy. The way that Holy Communion is distributed is also different from the way that both Latin Catholics and other Eastern Catholics receive. For the laity, Communion is always given on the tongue and via intinction. However, the Byzantine Rite uses leavened bread in the confection of the Eucharist. Small pieces of the Host, usually sliced in very small cubes, are placed into the chalice with the Precious Blood. Then, each communicant comes forward receiving both the Body and Blood of our Lord through a small liturgical spoon. Another difference is that whereas Latin Catholics venerate the wood of the Cross on Good Friday, Byzantine Catholics venerate the burial shroud of Christ, much in the same way icons are venerated. Just as statues are prayed before in Latin Rite parishes, so too are icons in the Byzantine tradition. Much more, of course, could be said on not just the Byzantine tradition, but all the liturgical traditions of the Catholic Church. As this is only an introduction, I sincerely hope that this series has piqued your curiosity in exploring the full breadth of the Catholic Church. Thankfully, many of you will not have to travel very far to find one of these welcoming parishes. This is why I love our Catholic Faith. We are truly one in our Lord Jesus. Just as male and female are different, we are from the same human family, and the sexes complement each other. It’s much the same with our Eastern Catholic brothers and sisters. And it’s that complementarity that makes up the fullness of our beautiful Catholic Faith! Nicholas is a cradle Catholic and hopes to give a unique perspective on life in the Church as a millennial. His favorite saints include his patron St. Nicholas, St. Ignatius of Loyola, St. Thomas Aquinas, St. John Mary Vianney, and St. Athanasius of Alexandria. Why Do We Call It 'Good' Friday? What If We Made Our Advent Penitential?